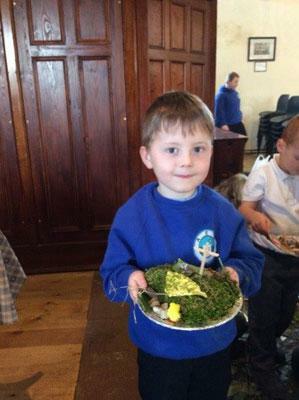 On Tuesday 4th April the children made their Easter Gardens in church before taking part in the Eastingle Service. 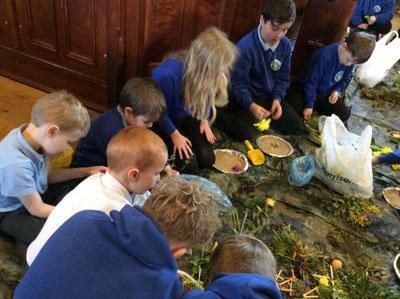 We had a fantastic display of gardens, the children brought in some lovely greenery and flowers. Following this Sarah Lunn led the Eastingle service. Every child was given a bag with Easter symbols in, a hot cross bun, three pieces of ribbon, a candy stick and a chocolate egg (as a treat). 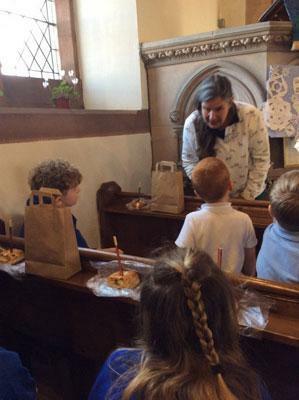 During the service Sarah instructed the children to make their Eastingle one step at a time as she explained the meaning of each item in the bag. 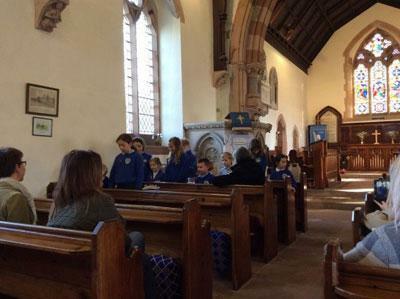 The Y6 children read some readings throughout the service and we sang four hymns. The Mothers Union kindly provided refreshments. 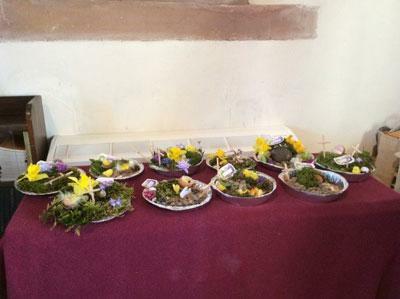 The gardens will be left on display in church over the Easter period.